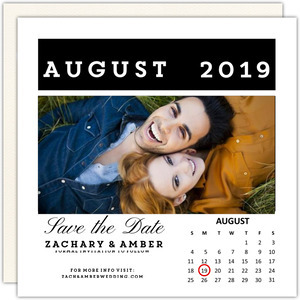 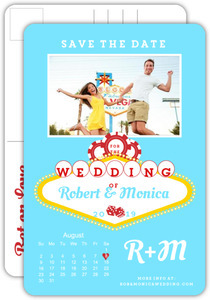 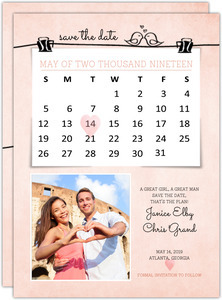 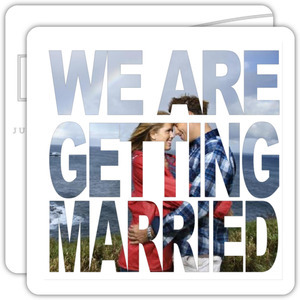 A less popular style of save the dates are calendar save the dates that showcase either the month the couple is getting married, or a calendar up until that point from the time the save the date or invite is sent. 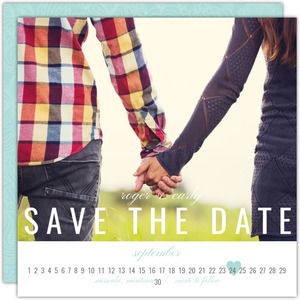 We've made a few designs that are good starting points for someone looking to make the perfect calendar save the date for their event and wedding. 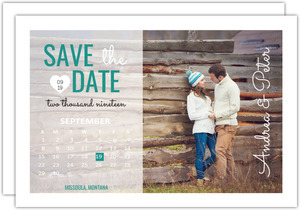 Just remember that everything on this site is customizable and can be changed to look completely differently with minimal effort. 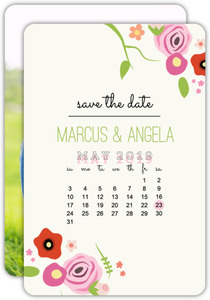 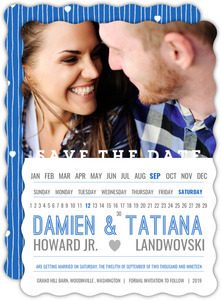 You can add a calendar to any other design on our site, so keep that in mind as you look through our calendar save the dates.